This study aims to assess frailty in a holistic context as a prognostic factor for the outcomes of a group of geriatric patients undergoing emergency abdominal surgery, identifying the predictors that could be included in a global assessment score of preoperative frailty. Four groups of predictors (physical, cognitive, functional, and social) were evaluated in a group of patients selected for abdominal surgery during the preoperative period. The outcomes for three groups of variables (mortality, morbidity, and use of health resources) were measured using multivariate logistic regression when the response variable is categorical, and the multiple linear regression model for continuous numeric response variables. In the period studied, 286 patients aged 65 years or older required an emergency procedure. Physical/phenotypic predictors are consequently related to outcomes of morbidity and mortality and the use of resources, while predictors of mortality and socioeconomic factors predominate in functional and cognitive outcomes. 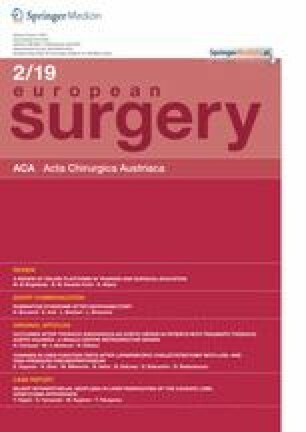 Individually, Mini Nutritional Assessment (short form), sarcopenia, Pfeiffer, Barthel, and Duke tests best predict outcomes after emergency surgery. Frailty is a predictive factor that should be routinely used in emergency geriatric surgery in a holistic context that includes physical, cognitive, functional, and social variables. Designing scores based on a broader concept of frailty will enable a more consistent predictive evaluation. Social frailty may have an important predictive value in the postoperative hospital outcome and in other medical fields, and should be studied in more depth in the future. F. Fuertes-Guiró, E. Vitali-Erion, and A. Rodriguez Fernandez declare that they have no competing interests. https://www.nice.org.uk/guidance/cg74/evidence/full-guideline-242005933. Accessed 30 September 2018.